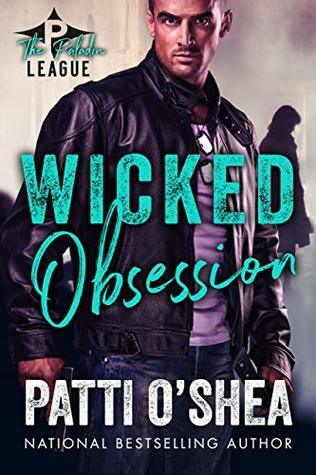 Nationally bestselling author Patti O'Shea has won many awards for her writing and been nominated for even more. Her books have appeared on the Barnes & Noble, Waldenbooks, and Borders bestseller lists and have earned starred reviews in prestigious publications such as Publishers Weekly and Booklist. At various points in her life, Patti O'Shea wanted to be a doctor, a pilot, an archeologist, an astronomer, a figure skater, a ballerina, an oceanographer, a marine biologist, and a photographer before she discovered writing at the age of fourteen. That's when she knew what she really wanted to be when she grew up. By the time she entered the University of Minnesota, she realized she'd need a practical career. She chose the School of Journalism and took classes in nearly every discipline the college offered. After graduating with a degree in Advertising Copywriting (and far more credits than she needed), she promptly went to work for Northwest Airlines—in accounting. Since then she's moved throughout the company, working in departments like Technical Records, Tech Publications, and 757 Engineering. After the merger with Delta, her job was moved to Atlanta and Patti followed it. She works in TechOps in Maintenance Programs. Born with a need to see everything, Patti has traveled to far off and exotic places like Papua New Guinea, Fanning Island, and the Yukon Territory in Canada. Along the way, she's had the opportunity to experience a lot of cool things. In Alaska, she saw a humpback whale breach near the catamaran on which she sailed; she's visited a salt mine in Austria and traveled to a lower level by sliding down a wooden rail; and she's seen a shark fin break the water in Australia right next to the small boat she was on. She's visited just about every one of King Ludwig's castles in Germany; watched the cliff divers of Acapulco; and was nearly mugged in a parking lot in Los Angeles. With her wanderlust sated, Patti finally decided to get serious about writing. She quickly discovered that her travel and her eclectic education were all training to become an author. It's helped her to know a little bit about a lot of things since she's had characters that have been computer geeks, army officers, private investigators, demons, thieves, and other assorted careers. She's even managed to incorporate pieces of some of the places she's visited into her stories.